Hometown: All over Western, MA. I moved a lot as a kid. Occupation: Model, Spokesperson, and Licensed Psychotherapist. Fave food: sushi and I also love açaí bowls! Song you have on repeat: I’m very musical and love all music, including classical music. Lately I’ve been I’ve been listening to Gymnopedie for Piano No. 1 everyday. Dream Job: To be an international model/spokesmodel and international spokesperson for mental health. I also want to be a literal super hero and act in action movies depicting strong female characters. I just saw Captain Marvel, so I’m feeling inspired! One thing you can’t live without: music! Having a national title must keep you busy! What’s a typical day like for you? It’s funny because my typical days are over! Everyday is different. I’m traveling some place different, all the events I do are different, but there are some things that I always make sure I do. On days when I’m not traveling, I get to practice group therapy for a trauma program that I’ve been leading at a hospital in DC for trauma survivors. I always meditate in the morning, diffuse my essential oils, exercise, do my affirmations, and make time for my creativity because that’s important to me. I haven’t been able to go to castings with my schedule so modeling has been on hold for now, unless I’m modeling as Miss United States for brands who I work with and sponsors. I’ve learned to go with the flow this year and enjoy the adventure! 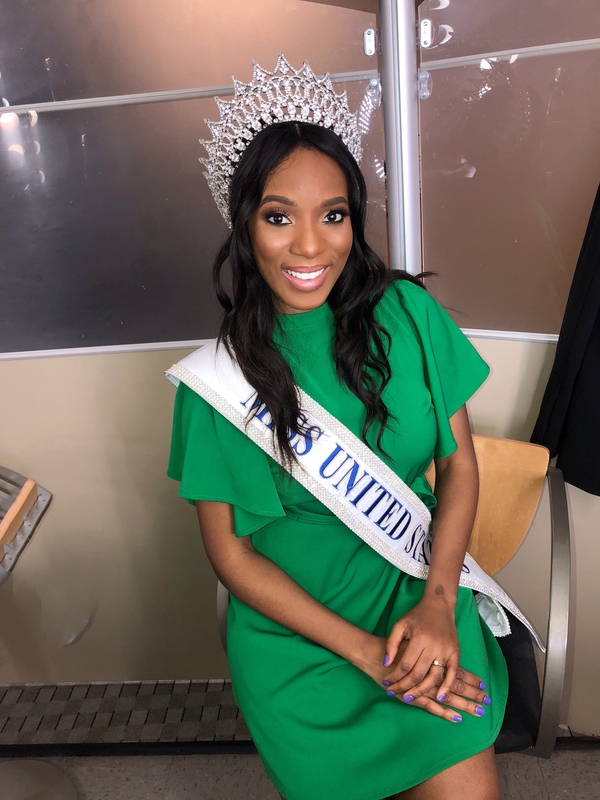 Tell us about your experience at Miss United States: I’ve wanted to be Miss United States since I started pageants while studying and getting my clinical hours to be a therapist. Now that I have my independent clinical license, I wanted practice therapy as a new therapist without delay. Being Miss United States as opposed to a few other systems, let’s me continue my passions while having my title! I had a plan, and I didn’t just want to win. I wanted to make a difference. 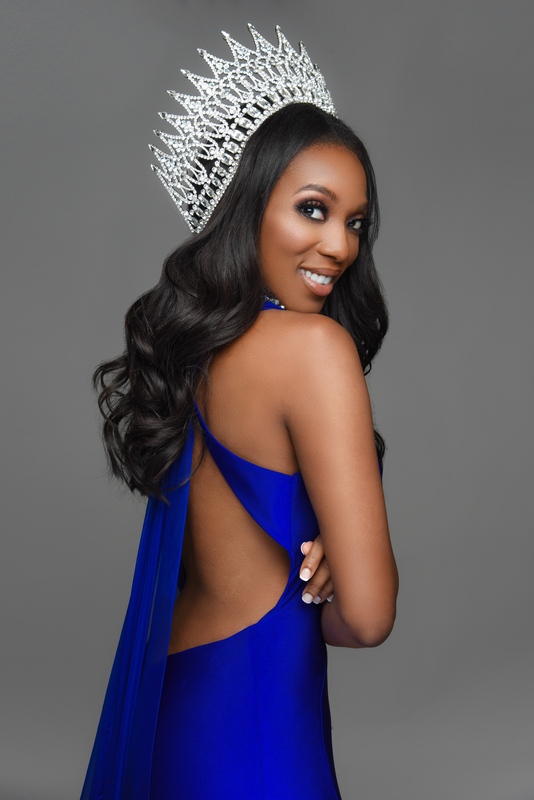 I had fun at nationals but I was focused and aligned with my mission for being Miss United States! I was meditating backstage, doing my affirmations, putting on my Doterra essential oils, and when that was done, I purely had fun! And I know it showed! I took home highest awards in interview, gown, and on-stage question! I always joke and say if I didn’t have the foot injury, I would have pushed even more to take home the award in swim! But I was so proud of myself and the night that I won, it was my dad’s 50th birthday! I made some amazing friends this year and we are planning travel and trips together which is always fun! What are you looking forward to the most during your reign? Traveling more! I have more trips coming up which I can’t wait for! I also have some exciting shoots and I love being on camera so I’m excited for any day where I’m shooting for photos or film! What are some things you do to prepare for competition? I had a clear vision, and I grew that vision for many months before I competed for my state pageant. I had an athletic foot injury so walking, and cardio were limited. I got creative with my work outs and put on my heels only at show time! For my state pageant and nationals. Other than that, I marked my movements in my mind, emphasized on my interview, but my mental prep was at the top of my list, my confidence. If I didn’t believe in myself, no judge would. I kept meditating and practicing my affirmations, and now I help girls do the same thing! It’s not something people think about but being emotionally aligned, is #1. Your Mind Matters is a movement I started to bridge the gap between mental health support/professionals and day to day people. Because of the stigma, I found that my work was only reaching the people coming in my office to get help. There were still so many people suffering in silence. I utilize media to speak on how we can get help and take our mental health into our own hands through self-care, and I facilitate self care workshops. I also run workshops for women where we provide mental health support and female police officers offer safety tips to help women feel safe and empowered. Being Miss United States allows me to put a face to therapists and to the idea of getting help. Most therapists have their own story that led to to this profession and being a thriver myself, I most certainly have mine. However this story doesn’t even come close to defining who I am. We can rewrite our own stories. I’m also in the process of parternering with national and DC based mental health organizations as well to expand my cause even more. What can Lady Code readers to get involved? Connect me with me on social media! 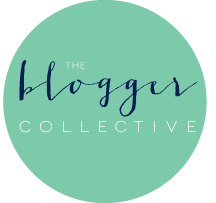 I am taking my workshops on the road and would love to invite readers to attend! Also never be afraid to seek help for yourself or someone else. This is always an act of bravery. 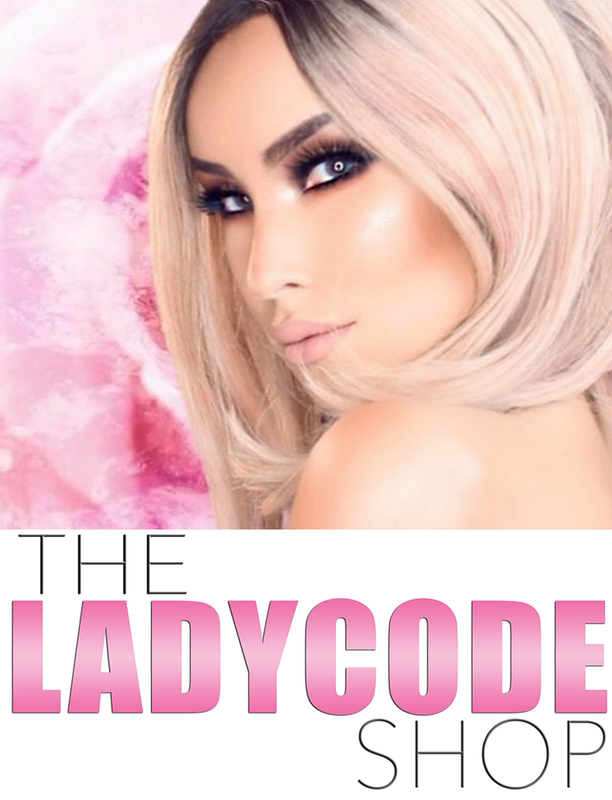 Lady Code has a focus on anti-bullying and women empowerment. As a mental health advocate, do you have any advice for some of our readers who may be victims of bullying? I do, and I have advice also as someone who was bullied growing up. Many don’t know this but I come from a very diverse family. My mother’s side being mixed with Black Foot and Wampanoag Native American, English, and Filipino, and my father’s side coming from Ghana. I was bullied for not “looking like” my mom. She (who is now my dad) has fair skin and my father very dark skin. I was bullied for having two moms, and later a transgendered dad, for being the only black girl in class etc. The list goes on and on. I can talk about these experiences very lightly, and what I’ve learned is that all of the above are not mine to take on. People have their own pain, their own stories. Them choosing to belittle someone is not my problem. It’s theirs, and I don’t have to welcome it into my space. Being picked on for being different points out the unique qualities that contribute to why we are so awesome! This doesn’t mean we put up with it. I eventually didn’t feel the need to “fight” a battle that I wasn’t apart of. I just told someone. I got help. I told my teachers, parents. I tell my dad everything. I didn’t “deal” with it by myself because it wasn’t my problem. Telling someone doesn’t make you weak. It allows you to welcome support into your life that you may not even know existed because no one should deal with difficult things alone. And if someone is toxic, meaning someone who is in your life and makes you feel less than valuable, they don’t need to be in your life. There’s no law saying you have to make time for people who do not have your best interest. Pay attention to actions and then pay attention to how you feel. Life is like Chess and you can move the pieces around to suit your needs and your strategy should be to prioritize your happiness, and you’re not alone. In your free time what do you like to do? I don’t have a lot of it but I like to write my affirmations, make art, sing, go out to eat, meditate, work out, learn something new, practice my Spanish, watch anime with #bae so I also know a lot of Japanese too. I love fashion, being in nature-hiking or going to the beach, and just have fun with my friends and family! I’m also always thinking of my next goals so my free time is usually spent in preparation for what’s next too! I’m very driven. Best advice: “There’s nothing you can’t do so live like it”.